On the 11th of June, Pulse Solutions made live a new, responsive web design site that was easier to navigate, faster at loading, and more professional in appearance. 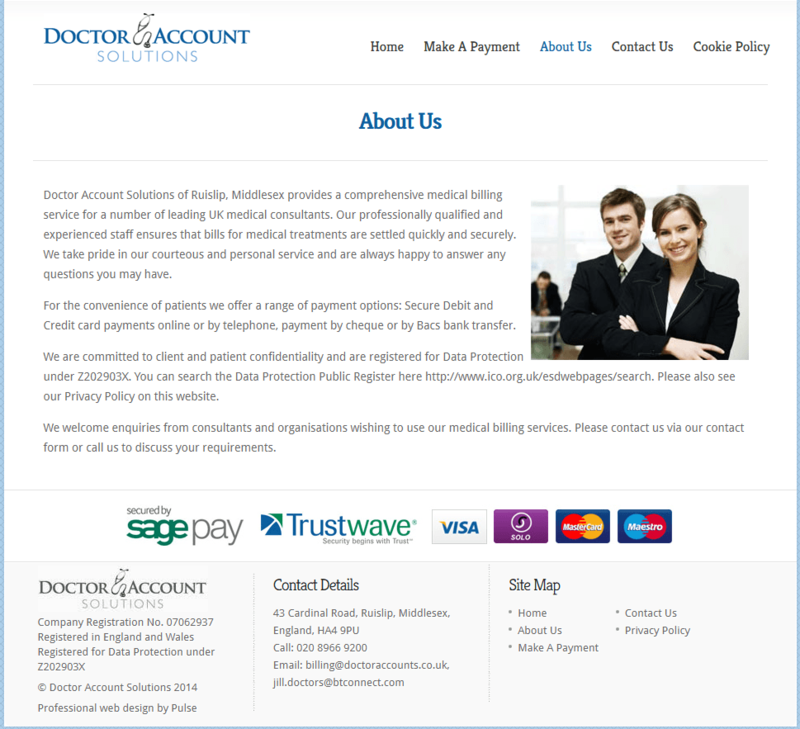 The site was created for Doctor Accounts Solutions Ltd which is an all in one medical billing platform that caters to clients in the United Kingdom. 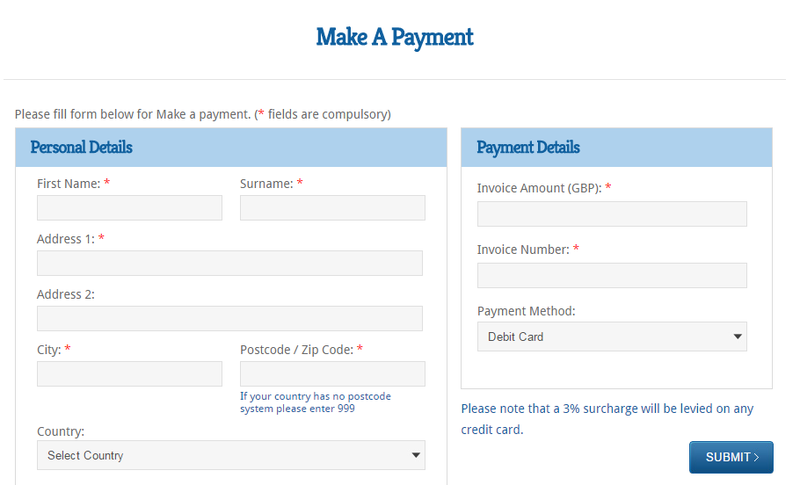 It is an approach taken in web design that is used to provide users with a simple user experience. This includes automatic resizing, minimal scrolling, and optimizing for accessing on multiple devices (laptops, PCs, mobile phones, etc). 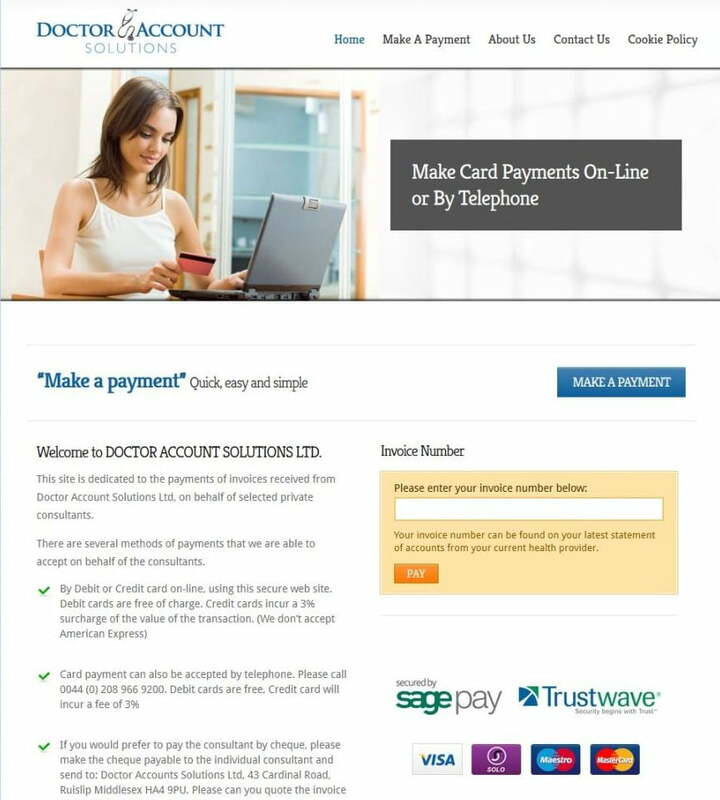 As the Doctor Account Solutions site was built as a dedicated platform for streamlining payments and invoices, it was imperative that it run smoothly, without glitches, and that the site was easy to learn and simple to use. Rather than fancy graphics, it needed something comfortable to which users could become easily accustomed and regularly use a familiar platform. Pulse Solutions was able to correctly identify and address these issues that needed rectifying in order to fulfill the end goal; a better user experience for Doctor Accounts Solutions’ customers. 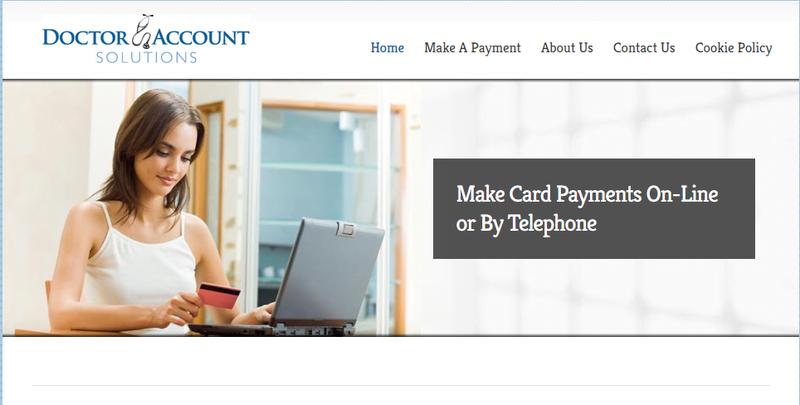 At Pulse Solutions, we understand that a website is the face of the company. Redesigning the website can give a company a new makeover, improving the sales, customer retention, and achieving a better search engine ranking. 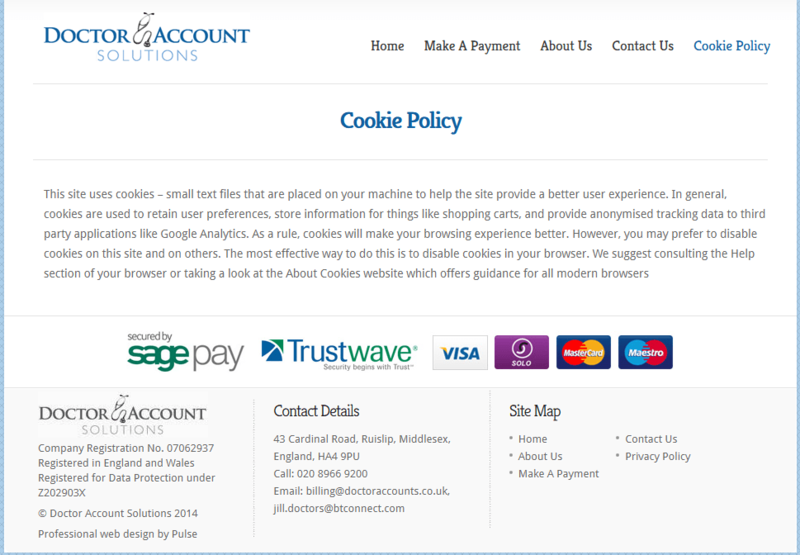 In the case of Doctor Accounts Solutions Ltd, Pulse Solutions was able to deliver a responsive, upgraded website that resulted in a satisfied customer.